Back in 1924 Felix The Cat was once expelled from home. But as a clever cat, he developed a scheme to avoid his skin getting soaked by the pouring rain. 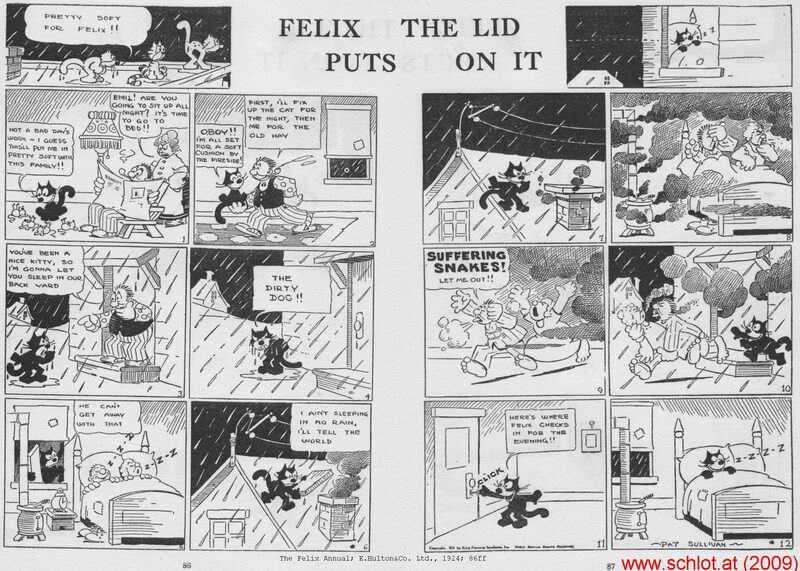 Copyright by Pat Sullivan, King Features Syndicate, Inc., published in London by E. Hulton & Co. Ltd. The strip shown above features pp. 86-87 of the book. The Felix Annual 1924 was the first edition of the following FA series and is holy property of schlot_archives since 08/2009.